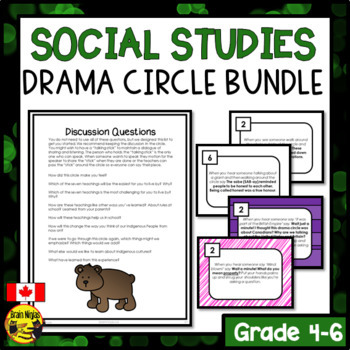 We've bundled up our drama circles related to Canadian Social Studies. These particularly drama circles feature Canadian content in a Canadian context. And drama circles are just plain fun. These activities have been classroom tested with fourth and fifth graders who game them a big thumbs up! 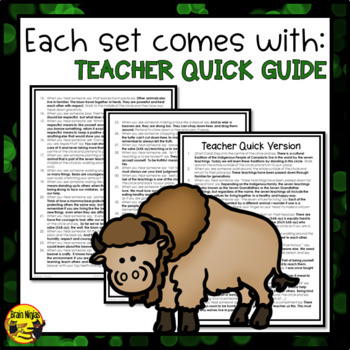 As we create other drama circles, they will be added to this bundle (though content that specifically aligns with Grade 4-5 social studies in Alberta will be included in those bundles, so be sure to check. 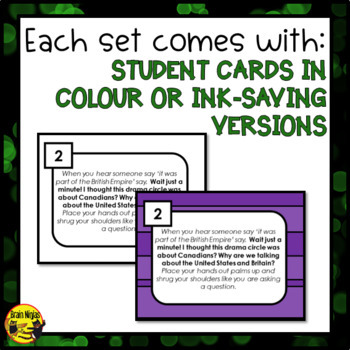 Be sure to check out our other Canadian social studies products. Thank you for your consideration! Happy acting from the Brain Ninjas!